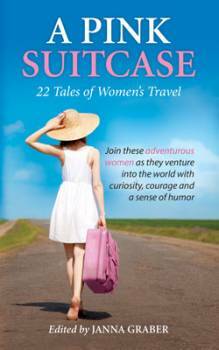 A Pink Suitcase brings together a talented group of daring women as they journey on adventures as unforgettable as they are moving. These intrepid explorers take on the world with wide eyes, an open heart and a woman’s point of view. Their stories are as diverse as the destinations they visit, from sailing the South Pacific to hiking the Appalachian Trail and searching for roots in rural China.